Does anybody have an email address for the Tooth Fairy? Look love we both know what’s going on here. I know you don’t exist, you know you don’t exist yet somehow everyone’s writing you flippin’ letters. So here goes. WHAT IN THE NAME OF GOD’S GREEN EARTH DO YOU DO WITH ALL THOSE TEETH WOMAN? I imagine you have already made a toothy grotto (yuk). Lots and lots of delightful necklaces. You probably keep a few incisors in a jam jar of coca cola on the windowsill gently rotting away to sludge. After that I’m at a complete loss as to what to do with the thousands of pearly whites you must have bought. Are you in the back yard splashing about in a fang filled swimming pool? You should probably check out some of the amazing craft blogs for ideas (gnasher stuffed teddy bear perhaps?) better still get in touch with the producers of Hoarders. I would love a tour around your molar strewn home I’m sure other people would too. No one writes letters anymore. Please clarify your terms and conditions. I’ve asked around and there seems to be some confusion about exactly how you work. What is the going rate for a small child’s first tooth? Does the tooth need to be under the pillow? What happens when a tooth is lost? Look Sweetie you’re dealing with young children here you really need to be more consistent in your work. I understand there must be time constraints, but how long have you been doing this now? Sometimes you write back, sometimes you don’t. Some children find a trail of fairy dust, other children nothing. Seriously are you drinking on the job? It’s the only explanation I can think of for such shoddy workmanship. If I were your boss (which I’m not cos, oh yeah, you don’t exist) I’d be asking some difficult questions at your next performance review. And another thing. It’s glitter, not fairy dust you daft pixie. I’ve seen it in the shops (Poundland if you’re wondering). Why did you lend your name to that dreadful film? Does Dwayne “The Rock” Johnson have fairy dirt on you? Next time Hollywood calls take some advice from your Hobbit mates first. 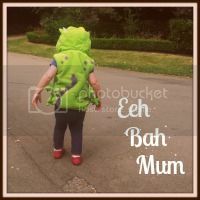 This entry was posted in children, family, funny and tagged children, craft, dwayne the rock johnson, funny, hoarders, letter, santa, teeth, tooth fairy, tradition, twitter. We were wondering why you didn’t put the money under the pillow and the tooth was still there but this morning a letter and money was in my school bag?